Punjabi University Distance Education DDE 2018 – Punjabi University Distance Education DDE has released notification for admission to the various UG, PG, Diploma and certificates programmes for the academic year 2018-2019. Punjab University only announced that admission to all courses in Distance Education department will begin tentatively from July 25, 2018. The complete detail of Punjabi University Distance Education DDE 2018 such as application form, eligibility criteria, admit card, result, admission process etc. are given below. Latest: Admissions for Punjabi University Distance Education DDE 2018 are closed. 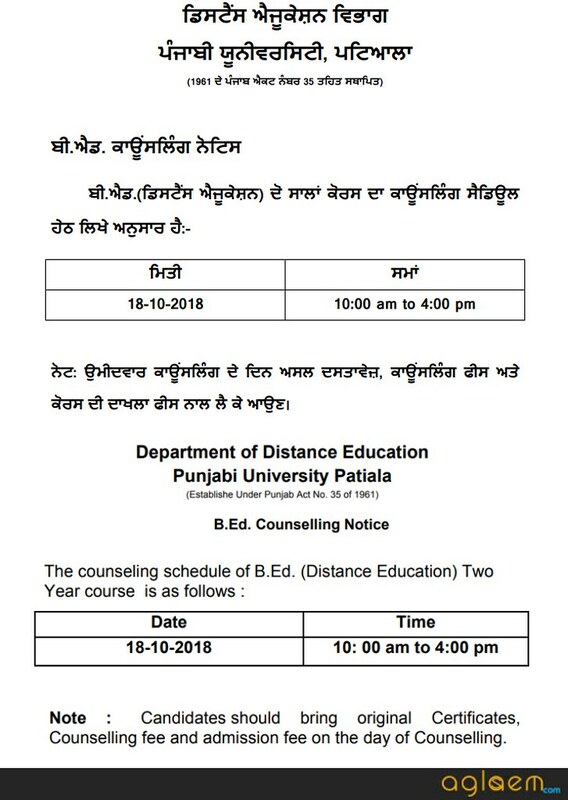 Department of Distance Education, Punjabi University, Patiala has decided to introduce semester system in several courses from the academic session 2018-19. It is important to note here that the semester system will be adopted only for the first year of selected courses. The remaining courses will be run according to the Annual System only. The second years of the courses (for which semester system is being introduced) will also be run according to Annual System. Last counseling for admission to B.Ed. (Distance Education) course is on October 22, 2018. Venue – Seminar Room, Department of Distance Education, Punjabi University, Patiala. Time 10:00 am. Candidates should bring original Certificates on the day of Counselling. The department will remain open on 20-10-2018 for submission of admission forms to various courses. Click here to check. Counselling: Click here to check Instructions for candidates for B.Ed. Counseling. Under Graduate Courses: B.A., B.Com. and B.Ed Part-I & II B.B.A. Part-I only. Post Graduate Courses: M.Sc. (IT) Part-I and Part-II. Punjabi University Distance Education DDE 2018 offers admission in various courses. Candidates who are interested can fill the application form. But before filling the form it is must to check the eligibility criteria. Only eligible candidates can fill the forms. All the candidates can check the full details of course with eligibility from below. Online application form for Punjabi University Distance Education DDE 2018 are available at official website. Before filling in the Admission Form, please read it and also go through cautiously the eligibility conditions of the relevant course in which you are seeking Admission. Form incomplete in any respect or without requisite fee and documents, will not be considered for admission. Instructions: Click here to check all the instructions before filling the form. Application Forms: Click here to download application forms. The candidate may fill the Forms either in Punjabi or English in his/her own handwriting. No column should be left blank. Strike out the column which is not applicable. All the documents should be properly stitched/tagged with the form. Photo pasted on the Admission Form should be self-attested and also attach one extra unattested photograph. 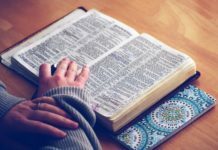 Candidates enrolled for various courses being run by the Department, are required to fulfil the conditions to become eligible to take the examination, as laid down for each Course in the Prospectus. These conditions, inter-alia, include participation in Personal Contact Programme(s) and attendance of a required number of lectures; submission of Response-Sheets etc. Such candidates as fail to fulfil all/any of these conditions and are not permitted to take the examination, can revive their eligibility during the next academic session by making up the deficiency by participating in the Personal Contact Programme(s) and attending the requisite number of lectures and/or by submitting the requisite number of Response-Sheets, as the case may be. They will have to submit an application in this regard and deposit continuation fee of Rs. 500/- through a crossed Demand Draft marked ‘& Co.’ drawn in favour of the Registrar, Punjabi University, Patiala, by September 30th. In case of semester examination, the application should reach the department along with examination form. One recent passport size photograph of the candidate and one self-attested photograph to be affixed on the Admission Form in the space provided for the purpose. Character Certificate from the Principal of the School/College last attended or from a Gazetted Officer. Candidates residing abroad may obtain it from a Gazetted Officer of the Indian Embassy. The original/provisional Certificate/Degree and the Detailed Marks Certificate on the basis of which admission is being sought. Self-attested copy of the certificate of the date of birth in Christian era and copy of Matric Detailed Marks Card. Proof of Fee : If fee is sent through demand draft to the Registrar, Punjabi University, Patiala, the students should write his/her name, father’s name, class and form number on the back of the demand draft. Identity Card duly signed at the appropriate place. A recent passport size photograph must be pasted. Migration Certificate, in original, if applicable. The complete Admission and Examination Form may be mailed to the Head, Department of Distance Education, Punjabi , University,Patiala-147002, under registered cover. 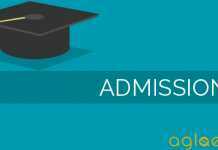 Punjabi Univeristy Distance Education DDE 2018 admit card download begins after completion of form submission. Admit card for PU DDE can be downloaded before few days of examination. Candidates who have applied before last date and submitted the application fees will be able to download the PU DDE 2018 Admit Card. The hall ticket is the essential document to be carried at the time of examination. 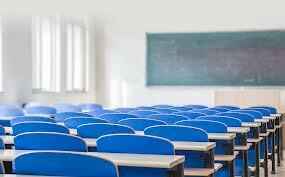 It will contain specifics such as candidate’s name, roll number, exam center details. No examination centre is created beyond the jurisdiction of the Punjabi University, Patiala. Therefore, the candidates of the Department of Distance Education have to appear at the examination centres created by the University within its jurisdiction. However, in special cases, examination centres may be created at different places on request and with the permission of the Vice-Chancellor by paying the requisite fee for the creation of a new centre. List of examination centres is given on the back of the Examination Form. The University reserves the right to create new centre(s) and to discontinue any existing centre(s) without assigning any reason. Note: The examination centres for foreign students will be created in their respective countries on payment of a centre creation fee of 1000 US dollars or equivalent amount, provided arrangements to the satisfaction of the Vice-Chancellor exist there. Otherwise, they shall have to appear at one of the centres created in Punjab. If any other charges/expenses are levied by the embassy, the candidate will have to pay accordingly. Candidates residing in India whose result of the lower examination is declared late by the University for reasons other than non completion of requisite formalities by them, can seek admission within 21 days (2 months for foreign candidates) from the date of declaration of their result. However, such candidates will not be admitted to any course after the last date fixed for receipt of Admission Forms with late fees. No candidate shall be admitted to any course where attendance in Personal Contact Programme is compulsory and the Department has already conducted the Personal Contact Programme. Admission of candidates on the basis of re-evaluation result : Candidates can seek admission to next higher course on the basis of their re-evaluation result within 15 working days without late fee from the date of declaration of their reevaluation result card by the University. Provisional result : No candidate will be admitted to any course on the basis of provisional result intimation-letters issued by the Controller of Examinations of this University unless especially specified by the Controller of Examinations.